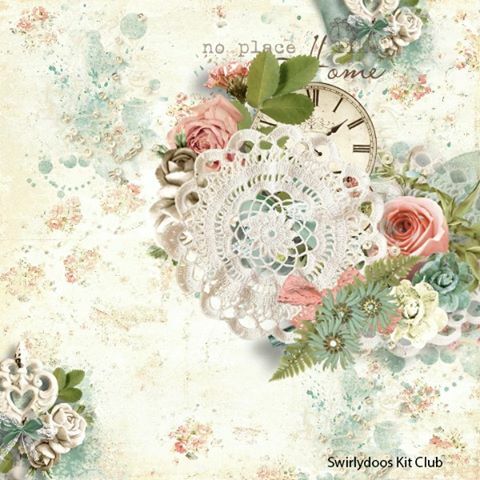 Kim has been doing an amazing job of designing the sketches for Swirlydoos since last November; this is what she came up with for the February "Love Letters" kit. And here is my take on this gorgeous sketch. The February kit is packed with beautiful papers from Kaisercraft and Anna Griffin; the colors and patterns are perfect for so many kinds of projects, be they romantic, heritage or girly. I've obviously gone for the girly theme to scrap this photo of my granddaughter. 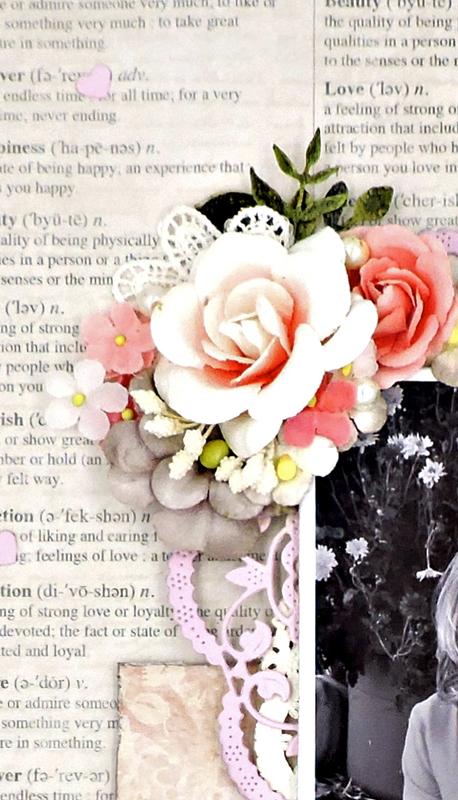 I liked the dictionary design of the Beloved sheet and thought it would make a perfect background for my layout. After trimming 1/2" from the top and side, I applied a light coat of Distress Ink all around to give the borders a bit of definition. I used one of my favorite punches here and there and ran the rest of the edges through my Distrezz-It-All. When I was satisfied with the results, I taped it to the Anna Griffin Black Vines paper. 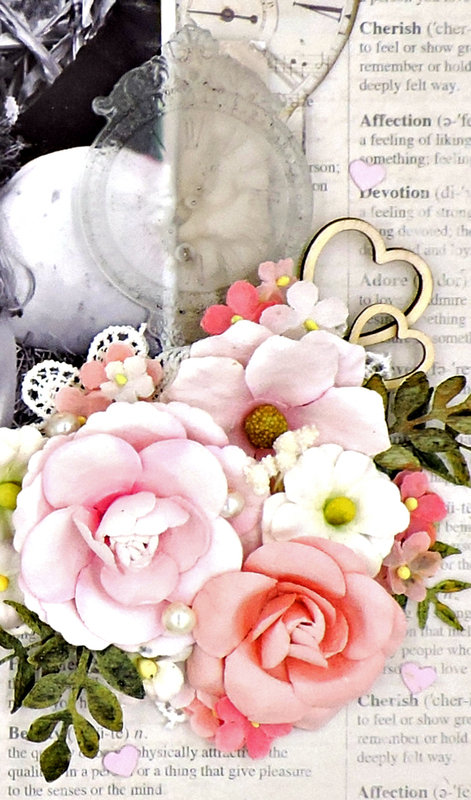 The pink doily under my photo was cut from a Cheery Lyn die from Core'dinations cardstock. The bottom doily is a silver one from my stash that I flipped over to take advantage of the off-white shade. 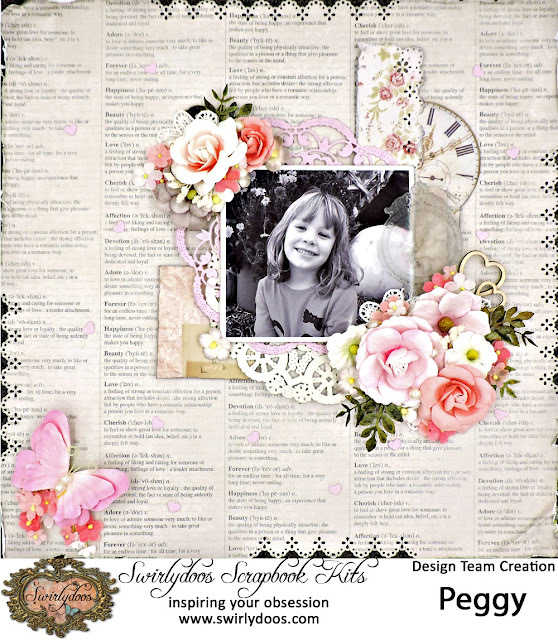 I took a few of the scraps left from my "Always and Forever" layout and fussy cut and punched them before placing them around the photo. Next, I colored a resin piece with the same Distress Ink and adhered it to the side. And now for the flowers! I'm really trying to make a dent in the packages of blooms that I've managed to accumulate and this is a pretty good start. Some of these pretties (and the butterfly) are several years old; time to let go and take advantage of the fact that they match my layout so well. I've added some greens cut from watercolor paper with a Sizzix die and colored with Twinkling H2O paint. A few finishing touches - wood icons from the kit, a few pearls and a scattering of hearts (scraps from my doily die cut) and I'm done! Strathmore - Watercolor Paper - 140 lb.